For weeks, the "Runde Ecke" ("Round Corner") was an important crystallization point of the autumn demonstrations. Here like nowhere else loud anger and demand for the dissolution of the Stasi (State Security), the SED dictatorship's most important instrument of power, were heard. Already in November, the Stasi officers had begun to secretly remove written records of their work. Rumours about this increased the anger of the demonstrators. 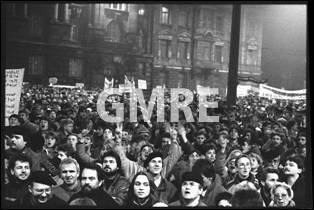 To secure the further course of the non-violent protests, in the afternoon of December 4, 1989, representatives of the new democratic groups negotiated with senior staff of the District Administration of Leipzig State Security. As a result that evening a group of about 30 citizens peacefully occupied the building and stopped the destruction of documents. The Monday protesters received news of the occupation with great joy. Later on the same night, the Citizens’ Committee was formed. 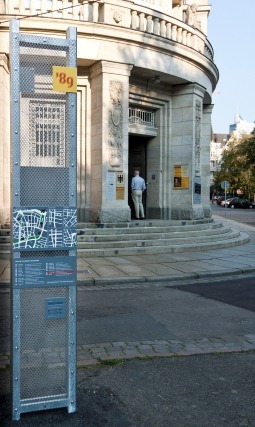 In Leipzig, as in other cities, the irreversible dissolution of the Stasi and the securing of its files began.